GMB and Unite have warned Ford bosses they are ready to strike over compulsory redundancies. The committee, which comprises Unite and GMB representatives, expressed frustration at the company’s lack of clarity over its future ‘footprint.’ It follows a drive by the carmaker to find £2 billion in ‘savings’ and cut a rumoured 10,000 jobs from its European operations amid recent warnings over Brexit. With the UK being Ford’s biggest market in Europe, accounting for 40% of sales, the unions also demanded that where possible all Ford vehicles sold in the UK should be powered by propulsion systems built in Dagenham or Bridgend, and transmissions made in Halewood Merseyside. 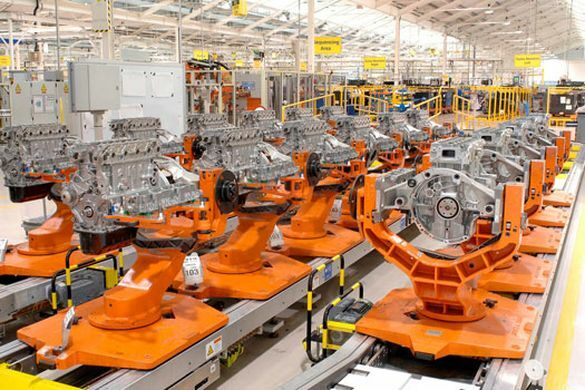 Over the years Ford has gone from employing 100,000 workers at 27 plants in the UK, down to 9,000 at 5 locations which make engines and gearboxes, in addition to design and development. Unite national officer Des Quinn and Justin Bowden of the GMB said: “Workers across all of Ford’s UK sites have had to endure the drip, drip of uncertainty, amid cost cutting, proposed joint ventures and statements around the transition to electric. “Ford’s UK workforce stands ready to meet the challenges currently facing the car industry and has the expertise to lead the way in the transition to electric and alternatively powered vehicles.